Kladovo Group. Refugees sailed on two Austrian river boats,. 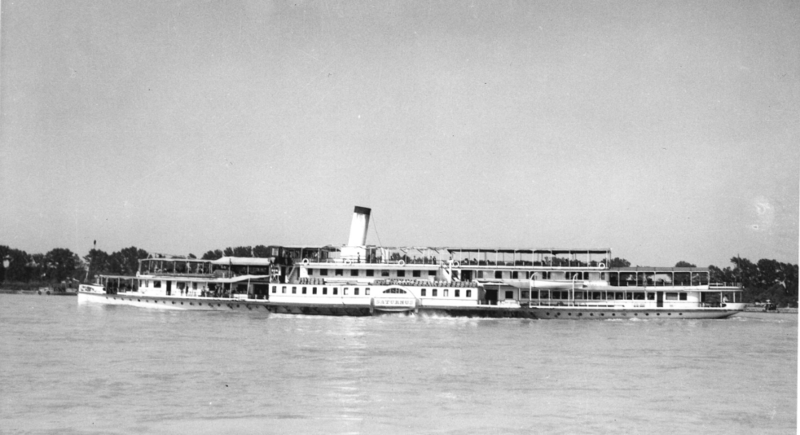 Uranus and Saturnus, from Bratislava on 3 Oct. On 15 Dec 1939 they transferred in midstream to Yugoslav boats Kraljica Marija, Car Dusan and Car Nikola II. Romania refused entry as no ship was ready for them. When Hilda (No. 57) arrived the river was already frozen over. These boats were trapped by ice at Kladovo on the Romania-Yugoslav border; In May 1940 the refugees were allowed to move ashore to Sabac. This group of about 1,100 remained in Yugoslavia as attempts were made to bring a ship to Romania for them. In winter of 1940-41 the Darien (No. 65) was scheduled to take them. 117 youths received certificates to leave for Palestine, Mar 1941. In May 1941 the Germans invaded Yugoslavia, after which some 915 of them were killed by the Germans.